However, there is another type of range gaining in popularity. 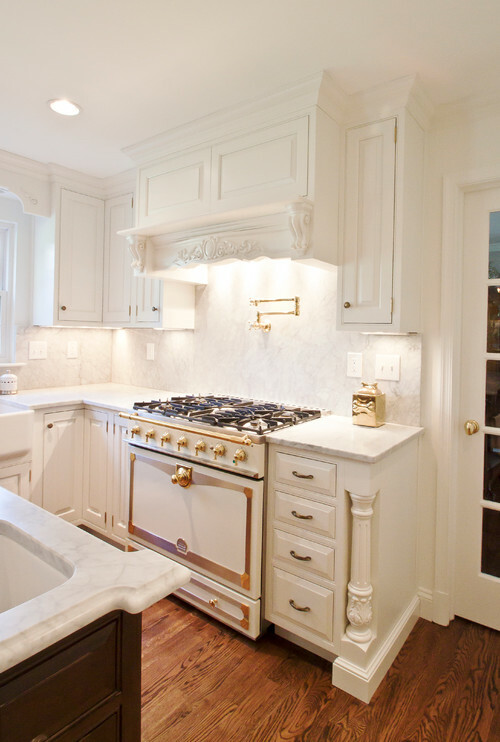 This type of product is based on style from companies such as AGA, Bertazzoni and La Cornue. We will look at the differences between Thermador and the 36 inch La Cornue CornuFe, both the products and the companies. Thermador was the first American premium appliance manufacturer and remains one of the top brands in the appliance industry. 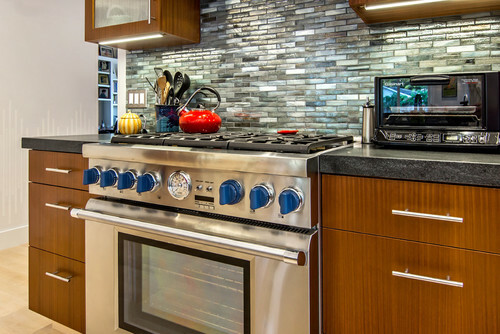 Founded in 1916, from its inception Thermador has been in the cooking forefront, introducing many of the industry’s firsts throughout the years including wall ovens, downdrafts and cooktops. In 1998, the Thermador Corporation was acquired by the multinational BSH Company, becoming the premium line in Bosch’s portfolio and is consistently one of the most reliable brands sold at Yale. Massive oven capacity of 5.0 cu. ft.
La Cornue is a French luxury oven and cooking range manufacturer, known for its very high-quality ranges. Founded in 1908, it was Albert Dupuy's desire to create an oven that used a new type of natural gas, being used in Paris at the time. By taking advantage of the circulation of hot air within the oven along with its concave interior, he was able to produce a natural convection with better baking results. In 2005, the 36 inch CornueFe Series was created. These units are available in eight colors with three trim combinations. Thermador has a larger oven capacity and more powerful burners. It features six star burners providing better pan coverage with each having 18,000 BTUs. Two of these burners can simmer as low as 100 degrees. Its sleek, professional appearance is classic. It is also less expensive and offers a free dishwasher as well. La Cornue is almost the anti pro range. It does not have the power or capacity of the Thermador. However, it is available in 8 different colors with three different trim styles. In other words it will look different. Natural convection is the other main benefit. The oven keeps consistent temperature without using a fan. I think you are either predisposed to one range or the other, because they are so very different. So is it power? Or style? Get the Yale Professional Range Buyers Guide with features, specs and inside tips to all the brands. Over 85,000 people have read a Yale Guide.